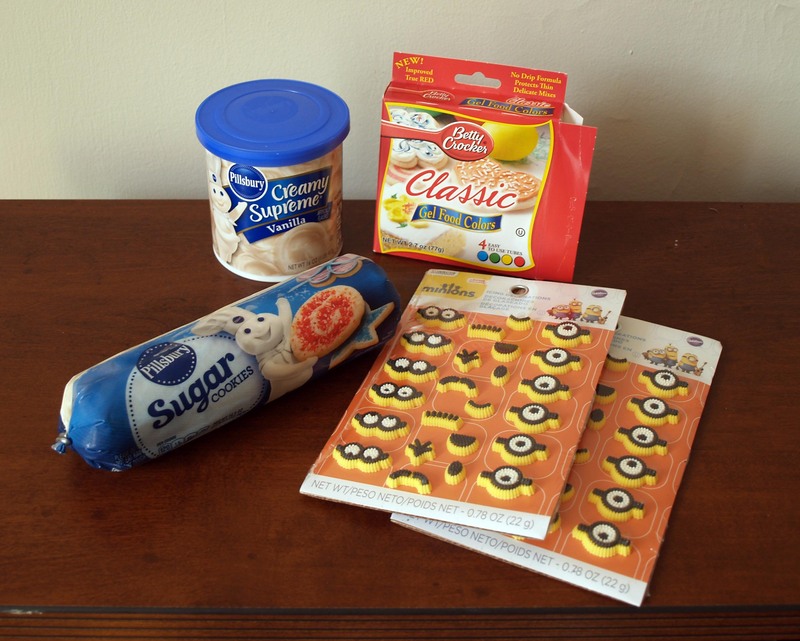 Easy Minion Cookies | I Wanna Bake! Sometimes you just don’t have all day to bake, but you still want to turn out awesome baked goods. As you might have guessed by now, I like to spend hours on end in the kitchen making things from scratch. That said, I also have a lazy streak. It’s not unusual for my Sunday bakeventures to start at 4:00 in the afternoon or later just because I couldn’t get myself in gear to bake before then. If you find yourself in the predicament of needing a dessert to bring to an event last minute but don’t want to take the easy way out and buy something, fear not! I can help! 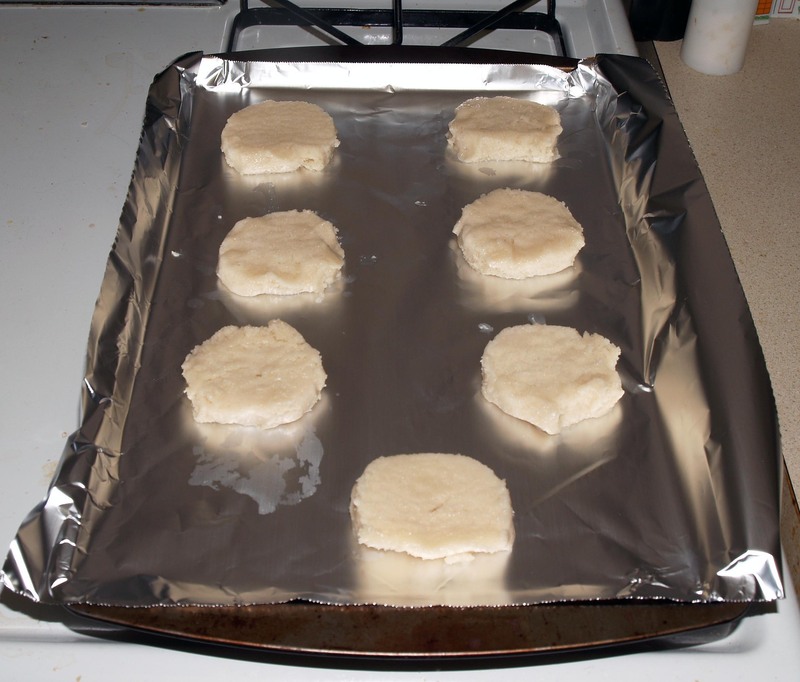 Today’s post is the first in what I hope to become a series on easy and quick baked goods. Admittedly, this is more of a decorating project than a baking project, but you have to turn your oven on to make it, so I’m going to call it fair play. These ended up taking me a little longer than I would have liked, but I was able to learn from my trial-and-error and pass on that sweet, sweet time savings to you. If you have the time, I suggest freezing your log of cookie dough in advance for at least half an hour to make your cookies easier to slice and help them keep their shape during baking. 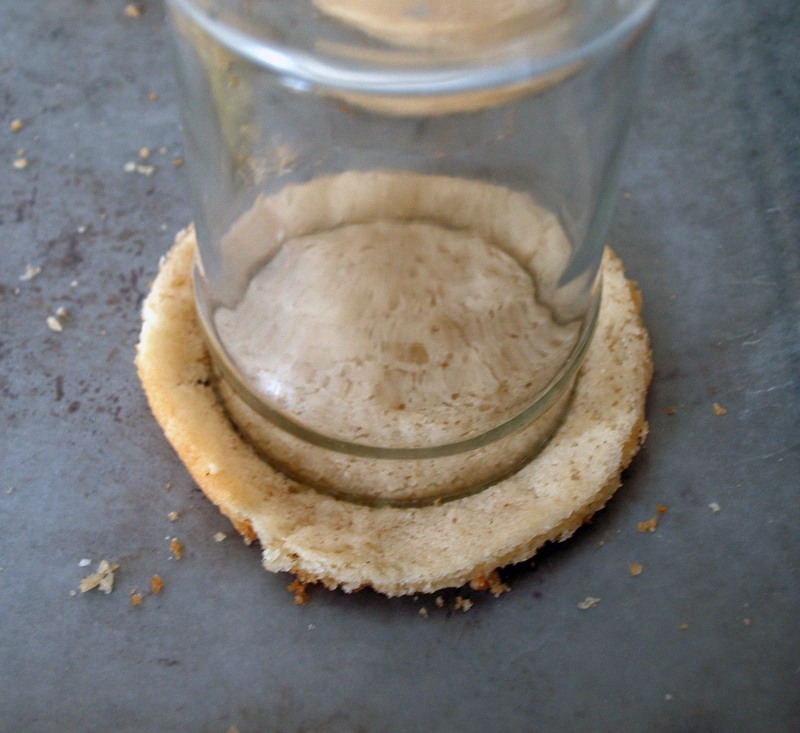 If you don’t, you can fix any misshapen cookies by cutting them with a glass. I do realize that it may be difficult to find these Minion sugar decorations, particularly since the movie is now out of theaters. If you can’t find them, I suggest using sugar eyes instead (you should be able to find these at craft stores with baking sections and even in Target). You can use black licorice to make the hair, mouths, and outlines. If that seems like too much trouble, you could also just use white and black frosting to pipe the faces on. This will take a little longer than the procedure I’m documenting here, but realistically it’s still going to be a relatively quick project for the cute payload. If you’re making this project, chances are you’re under a time crunch. Don’t use anything with clocks or countdowns (such as Time by Pink Floyd or Twenty Five Miles by Edwin Starr); it will only make you anxious. Pick something more triumphant like Eye of the Tiger by Survivor or We Will Rock You by Queen. You will emerge victorious (and bearing adorable cookies)! Now let’s make some cuteness! 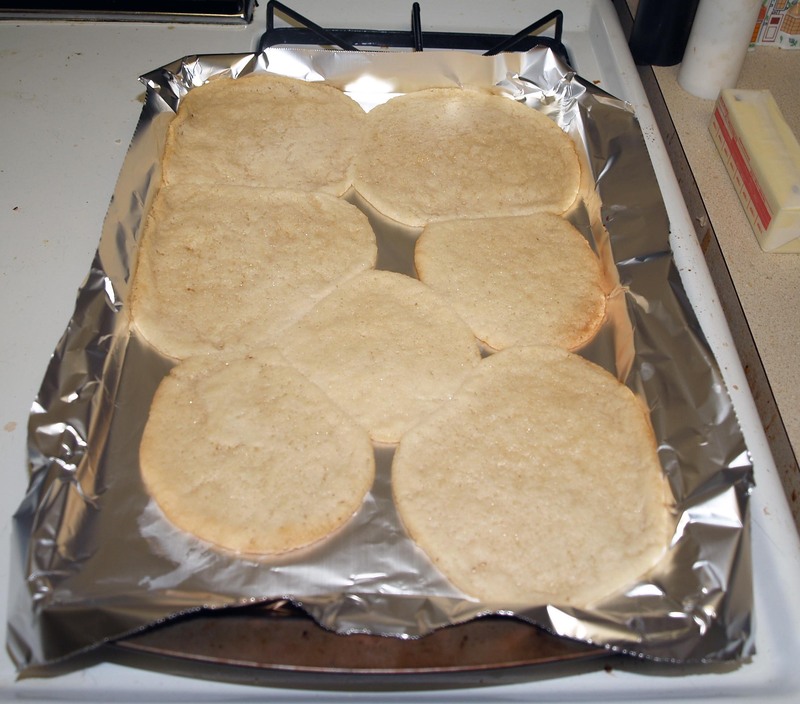 Bake your cookies according to the package directions, but slice them as thin as possible to minimize spreading. Make sure to leave plenty of space between them so they don’t run together and make weird shapes. As you can see above, my slices were too thick and I placed them too close together. Fortunately, you can fix this! 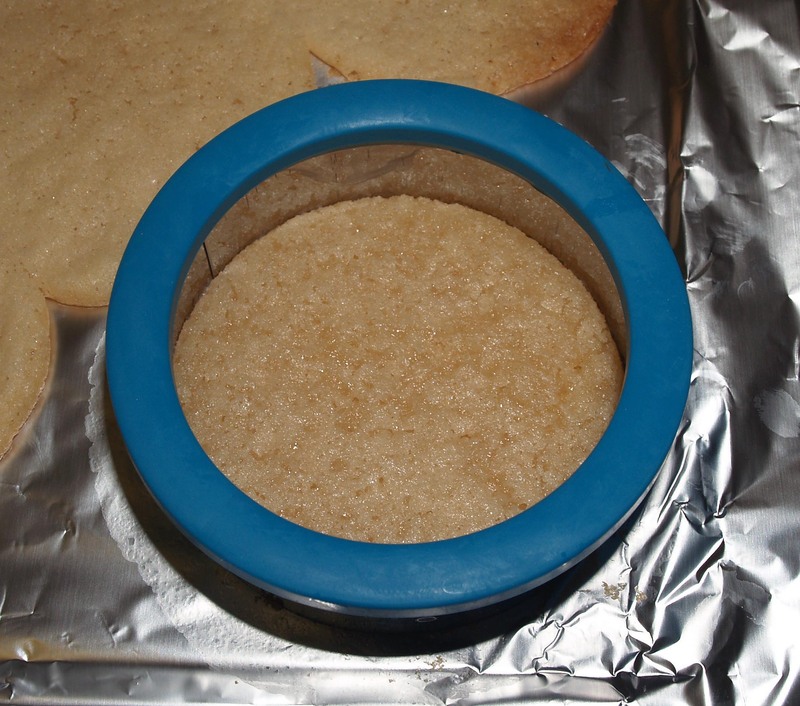 Using a round cookie cutter or small glass, cut circles in the center of each cookie. Discard (or, who are we kidding, eat) the edges. Reserve a small portion (about ¼ cup) of your frosting in a small bowl. Add blue food coloring until you achieve the right color for the minions’ overalls. 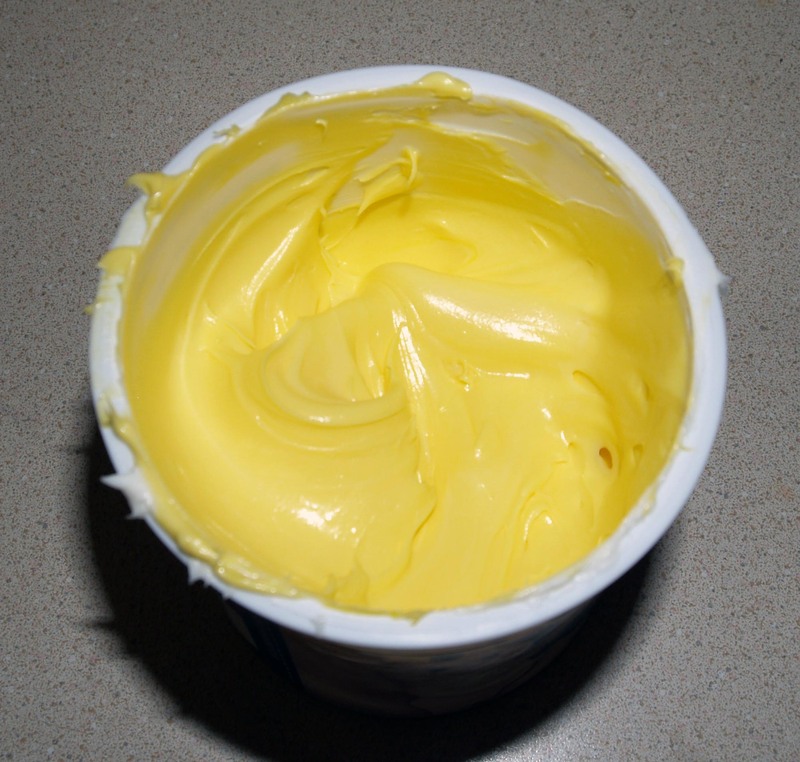 Add yellow food coloring straight into the can until you reach the right shade for the minions’ faces. 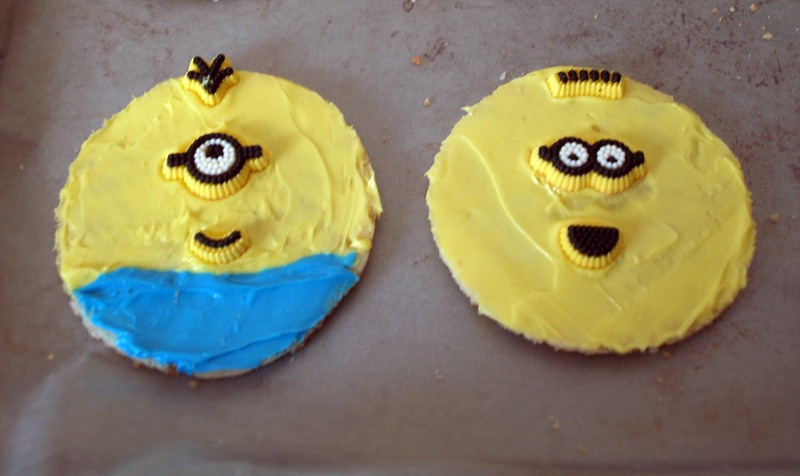 Frost the upper ¾ of each cookie in yellow. Now carefully frost the bottom in blue. 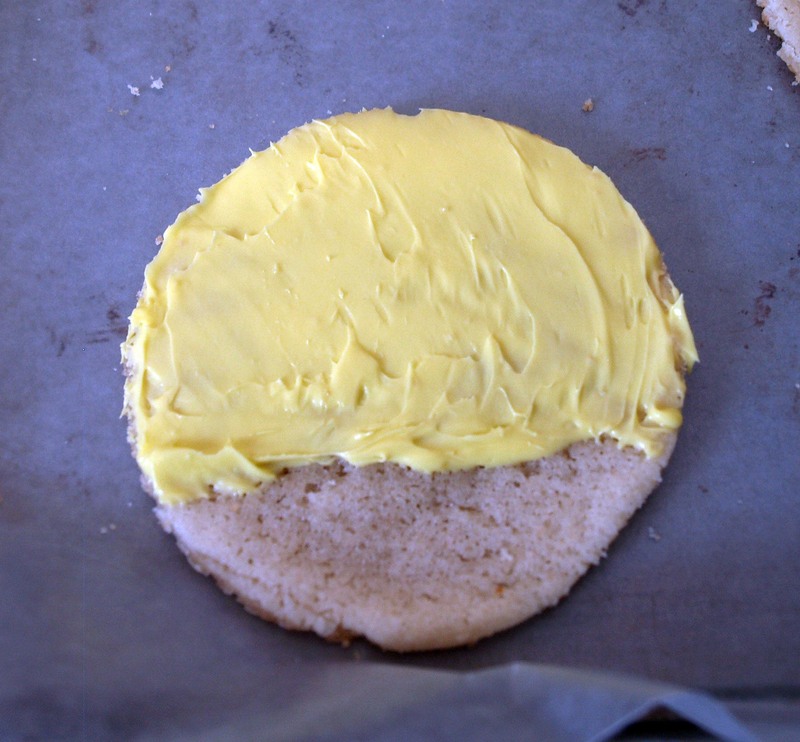 Place a dab of the frosting towards the bottom of the cookie and gently push it upward just until it touches the yellow. 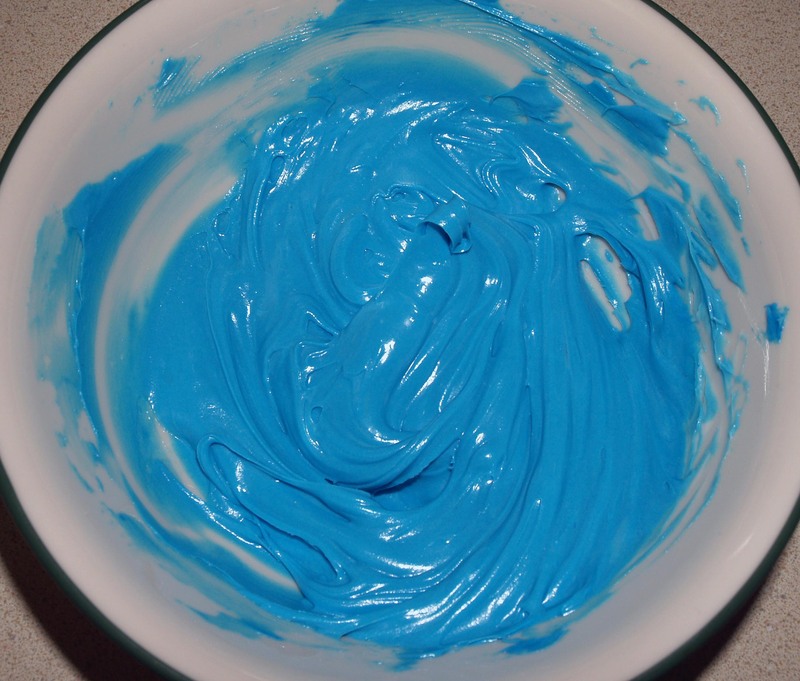 If you get yellow frosting on your blue frosting tool, be careful to wipe it clean before going back into the blue. Next, apply the decorations in any configurations you like. 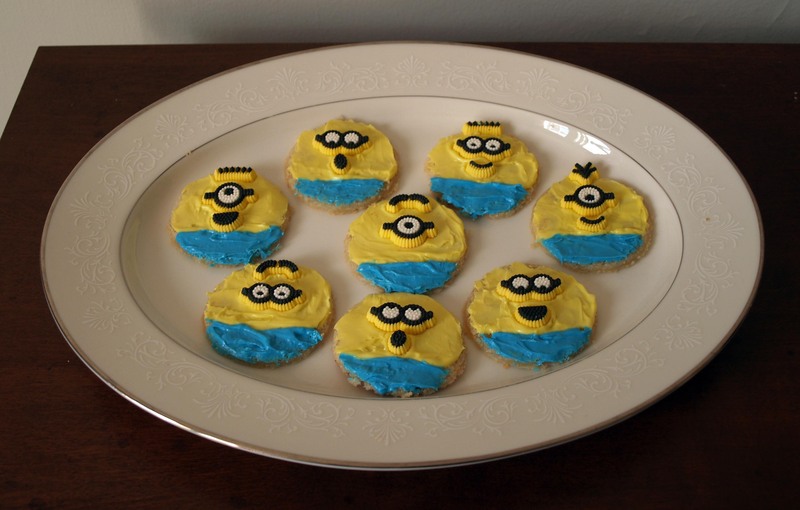 As you can see, these are cute, but don’t look quite like minions when you leave them circular. All you need to do to make them look more normal is cut a little bit (¼”-½”) off each side. That’s all there is to it. 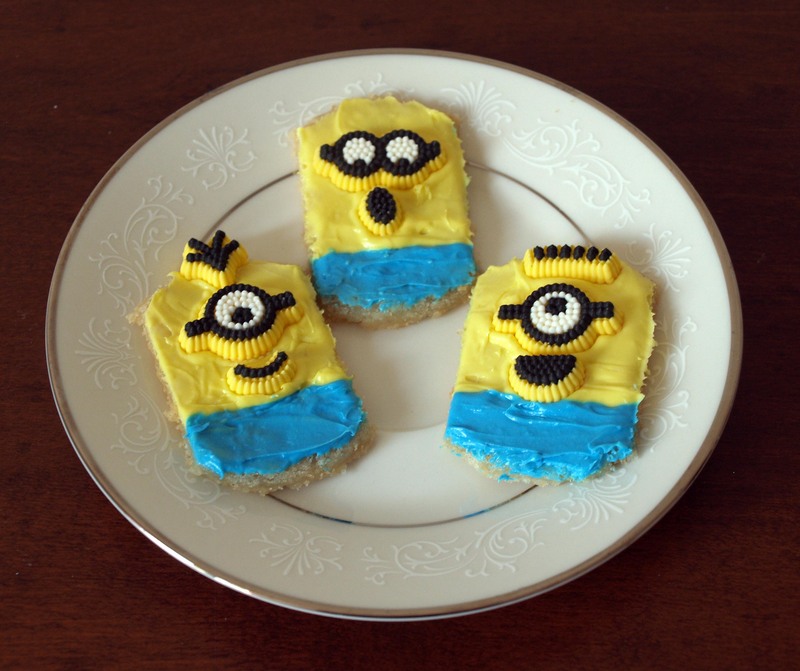 Enjoy your minion-y goodness!